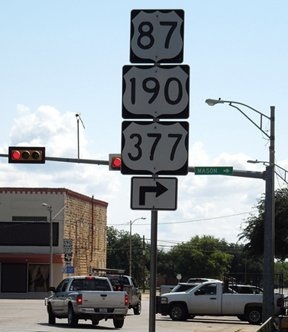 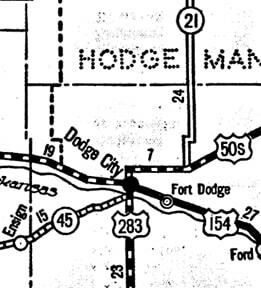 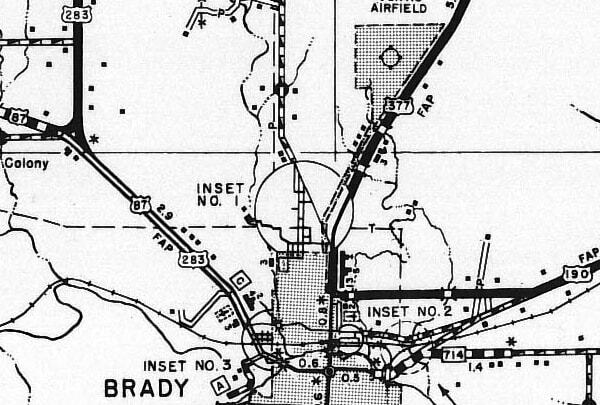 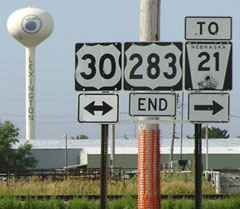 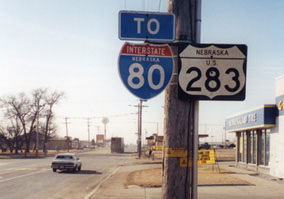 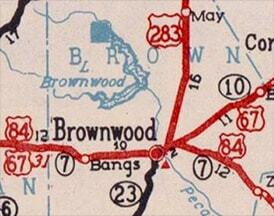 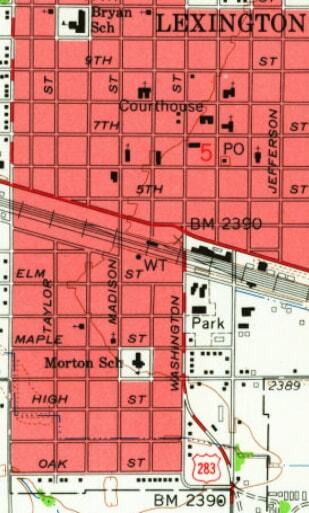 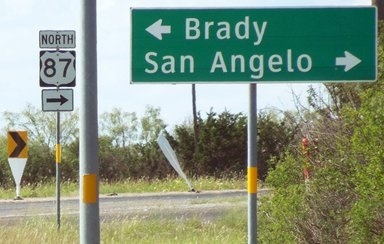 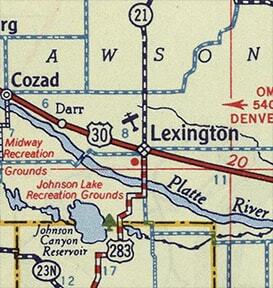 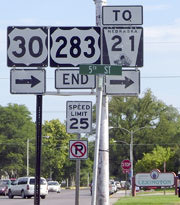 Right about that same time (1939), the south end of US 283 was was extended to Junction. 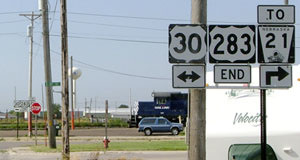 US 30 runs across the foreground of that photo. 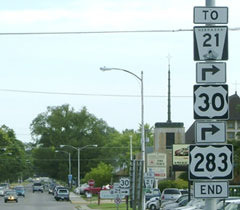 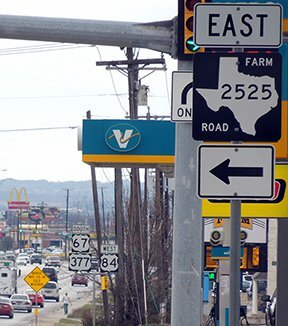 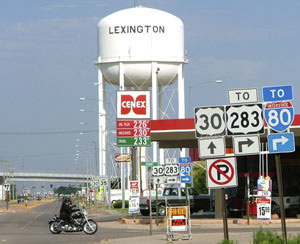 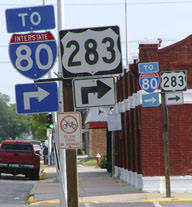 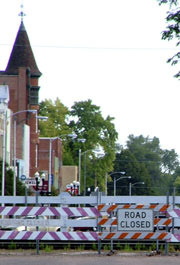 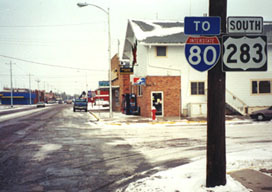 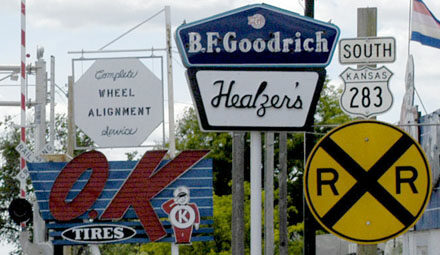 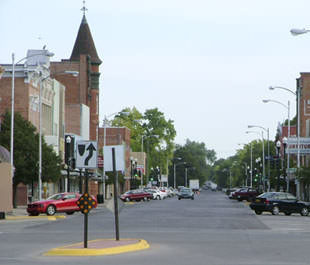 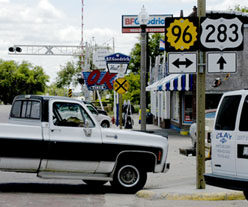 US 283 ended there; downtown Lexington is straight ahead. 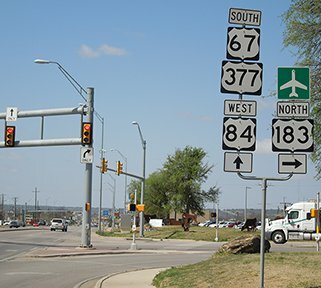 ​The assembly at left is for traffic heading south on Grant... which seems a little odd, since northbound 283 traffic is not directed onto that road. 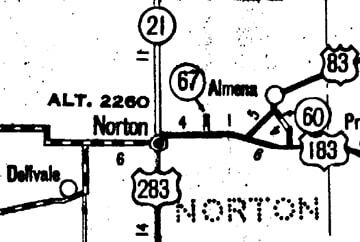 But presumably drivers who know their way around and who want westbound US 30 (as opposed to eastbound) use Grant instead of Jefferson. 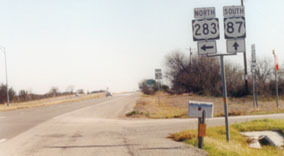 A few blocks ahead, that newer highway joins the original alignment of US 283.
last updated Apr. 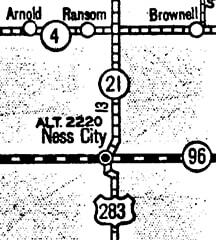 3, 2018.